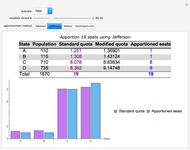 Apportionment involves dividing discrete objects among various groups according to some plan. For example, congressional seats are apportioned among the various states based on their populations. 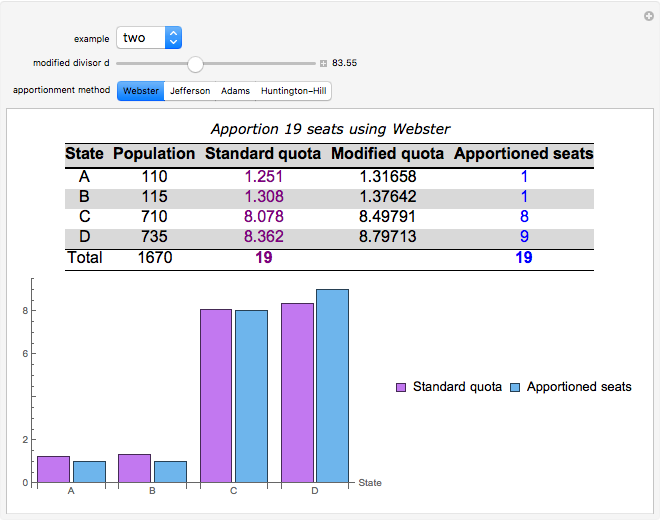 In modified divisor methods, the apportionment plan is to find a modified divisor so that, when each state population is divided by and rounded to a whole number, the rounded values add up to the correct number of seats. Adjust the value of the modified divisor to get the correct total number of seats. 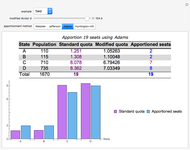 Compare the apportionments from the different methods, paying attention to the effect on large versus small population states. 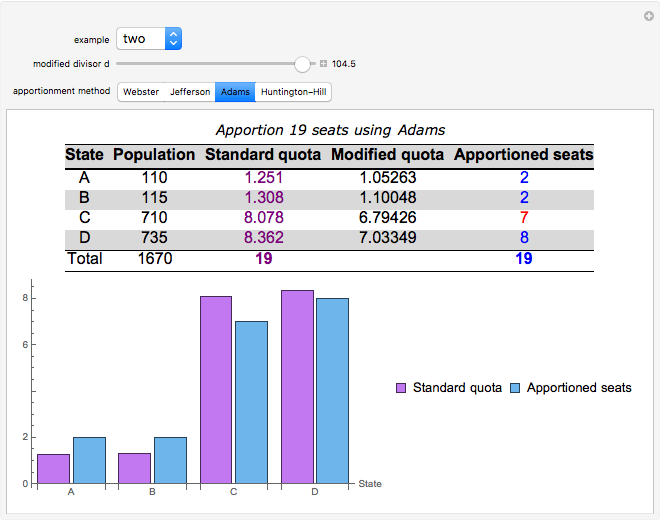 The standard quota represents the exact number of seats a state should be given (including the decimal part). 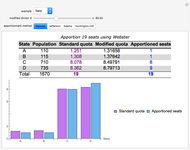 In general, modified divisor methods can lead to situations where a state is apportioned a number of seats that differs from its standard quota by more than one. This is called a "quota rule violation". 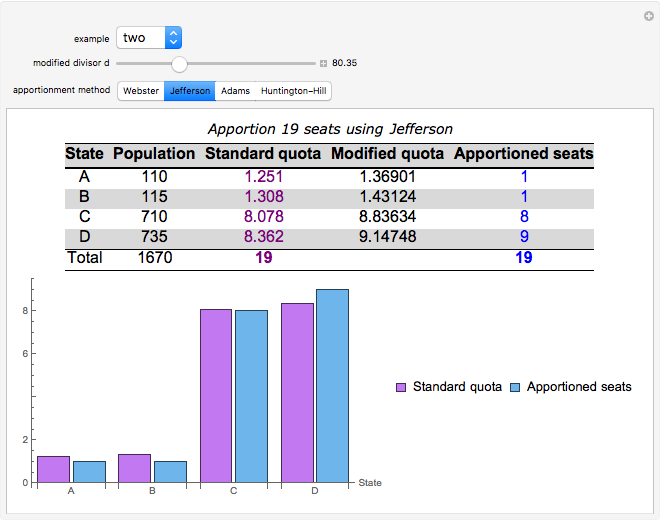 For more information on apportionment methods, see the AMS feature column by Joseph Malkevitch. Jim Brandt "Modified Divisor Methods"